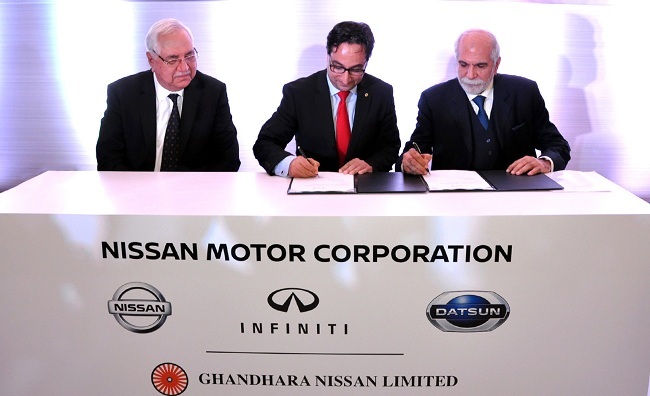 Nissan Motor Co., Ltd. is entering the Pakistan market through a manufacturing and licensing agreement with automotive partner Ghandhara Nissan Ltd. for local production of Datsun models. The agreement also covers distribution, providing access to a market where demand for new vehicles has grown to more than 200,000 units a year. The move is part of Nissan’s strategy to engage with emerging automotive markets around the world, bringing brands and products tailored to meet rising consumer demand. Sales of the first locally built vehicles are expected to begin in Pakistan within the 2019 fiscal year. “Together with Ghandhara, we’ll be working actively with suppliers to localize and exchange technology and skills, which will provide a lasting benefit to the emerging local component industry,” Kargar added. Nissan’s entry will provide Pakistani customers with a fresh and desirable lineup designed and built with the most modern Japanese engineering. It will also provide a significant boost to the automotive industry, which already accounts for about 4% of Pakistan’s gross domestic product. Ghandhara will invest 4.5 billion Pakistani rupees (about $41 million) over the first four years. The project and the development of a retail network will create more than 1,800 jobs. Nissan and Ghandhara will work together to develop Ghandhara’s facilities in Karachi’s Port Qasim in to a world-class manufacturing plant. The partners have a long-standing relationship, bringing a wealth of local knowledge and experience. The project has qualified for brown-field category status under the Government of Pakistan’s Automotive Development Policy. “This agreement will introduce world-class facilities and the best of Japanese engineering technologies,” said Ahmed Kuli Khan Khattak, CEO of Ghandhara. “By localizing the manufacture of parts and components and boosting development in the auto supplier industry, it will provide Pakistan with technical assistance and promote partnerships with Japan.